Israel is building a “separation fence” along and within the West Bank. When finished, the wall will be almost 500 miles long. Here, at Bethlehem, it is 26 feet tall of solid concrete. 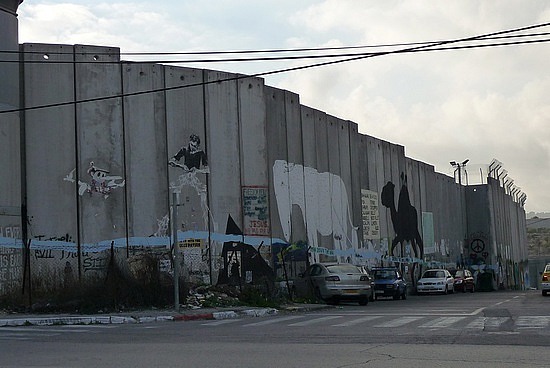 The people who live in “O Little Town of Bethlehem” must face loss of land, increased difficulty in accessing medical, educational, and employment facilities on the other side of the wall, and restricted access to water sources. The Bible tells us that Jesus is the Alpha and the Omega, the Beginning and the End. (Revelation 22:13) This means from the very beginning, Jesus was there. There was never a time when Jesus did not exist. In the Old Testament, Jesus appeared as God made visible or “The Angel of the Lord.” There are many instances in the Old Testament where individuals are shown to have had a face to face encounter with the Lord. (Genesis 16:7-13, Genesis 18, Genesis 32:24-32, Joshua 5:13-15, Judges 6:11-24, Judges 13:8-24, Daniel 3). In each situation, the Person is given different titles, but in all cases the person is plainly referred to as the Lord Himself, but appearing in a human form. From eternity past, God’s plan of the ages included Jesus (1 Peter 1:20, Ephesians 1:4). In prophesying these words (verses 2-4) about the coming of the Messiah, Micah reveals to his contemporaries and to us at least three things about God which should turn us away from idols and cause us to want to trust God above all else. The three things are: first, God always acts to magnify his glory, especially the glory of his freedom and mercy. Second, God keeps his promises. Third, God protects his people. If those three things are true, then who would not want the Lord above any idol? Who would not want to be protected by omnipotence and made an heir of promises which involve infinite glory? 5And he shall be their peace. In contrast to the corrupt leaders that the prophet has lambasted, the Lord, when he comes, will raise up good leaders to help him defeat evil. Assyria/Nimrod in this case is a symbol of all the evil nations in the world. 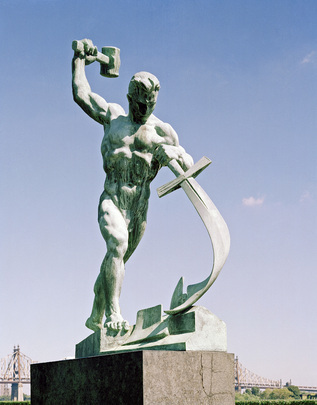 The bronze sculpture “Let Us Beat Our Swords into Ploughshares,” was created by Soviet artist Evgeny Vuchetich, and presented to the United Nations on 4 December 1959 by the Government of the USSR. 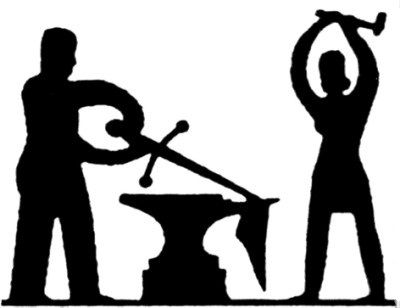 The sculpture, depicting the figure of a man holding a hammer aloft in one hand and a sword in the other, which he is making into a ploughshare, is meant to symbolize man’s desire to put an end to war, and to convert the means of destruction into creative tools for the benefit of mankind. It is located in the North Garden of the United Nations Headquarters. In chapters 4 and 5, Micah proclaims that after judgment God will mercifully forgive and restore his people, bringing them back from exile in Babylon and reviving their city of Jerusalem. 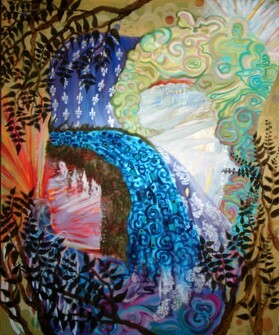 Everything will be turned upside-down when this Messianic future “comes to pass.” The house of the LORD will be lifted up, the nations will flow uphill and war-mongering will turn to peace-making. We have witnessed the lifting up of the house of the LORD. 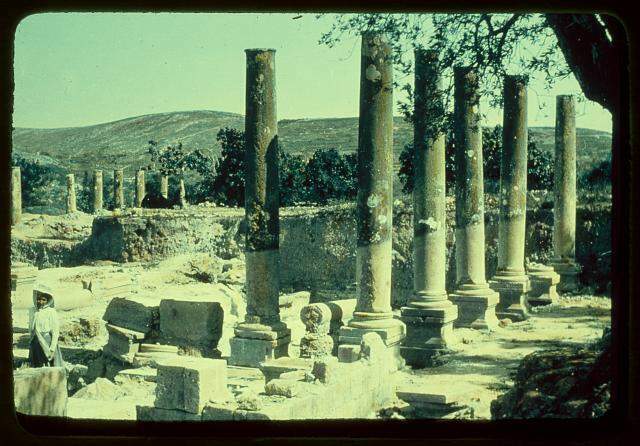 Christ – the true Temple – was destroyed and raised again on the third day (John 2:19-22). He is the true Meeting Place with the living God. 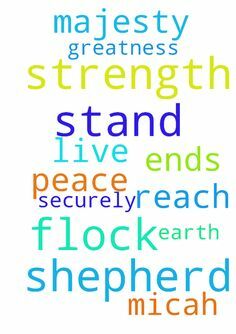 And in risen power His word goes out to the nations and the world flocks to find peace in Him. Yet, for the full benefits of Christ’s peace-making we will have to await His second coming. He told us in Mark 13 that until His return there would be “wars and rumours of wars” (v7). But in the meantime we see the principle of His redemption working its way out. Crown him the Lord of peace; his kingdom is at hand. From pole to pole let warfare cease and Christ rule every land! All hail, Redeemer, hail, for you have died for me. Your praise shall never, never fail throughout eternity. Now the prophet sketches out the future for the people of Judah. Some of it is bad news: he tells them they will have no more kings, and that they would be sent as captives to Babylon. But he also encourages them with the assurance that God would help his people return to their land. All these things happened just as Micah prophesied, as recorded in 2 Chronicles 36 and Ezra 1 and 2. And is that not our story, too? Sin sends us into a kind of exile, and Jesus comes to restore us to wholeness and peace. 9Now why do you cry aloud? Micah declares their on-going sins: The rulers abhor justice, pervert equity, shed blood, and take bribes. 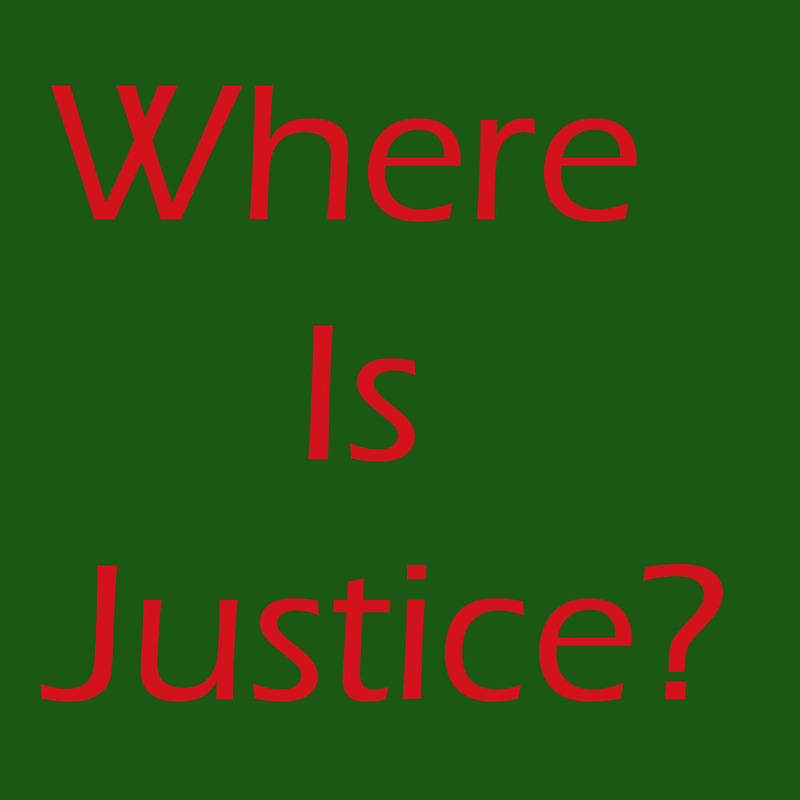 Instead of rendering justice, the prophet says, the leaders slaughter their people like animals to be eaten. It is a vivid and disgusting picture. It has come to this. 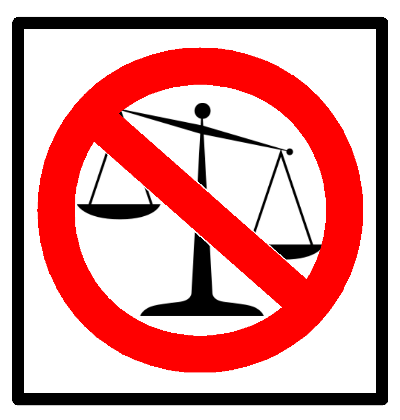 The leaders detest / abhor / reject / hate justice (from various translations). The leaders of Jerusalem had a false confidence in religious ritual and form. All the while, judgment was appointed for Jerusalem unless they repented. 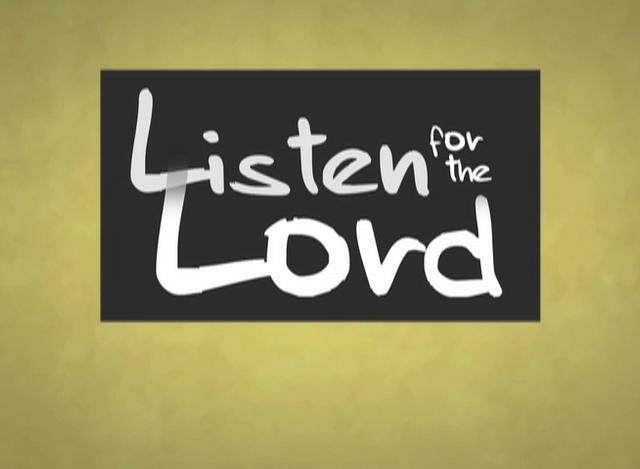 The great thing about the Prophet Micah was that he was listened to. Hosea was ignored, and so was Amos. 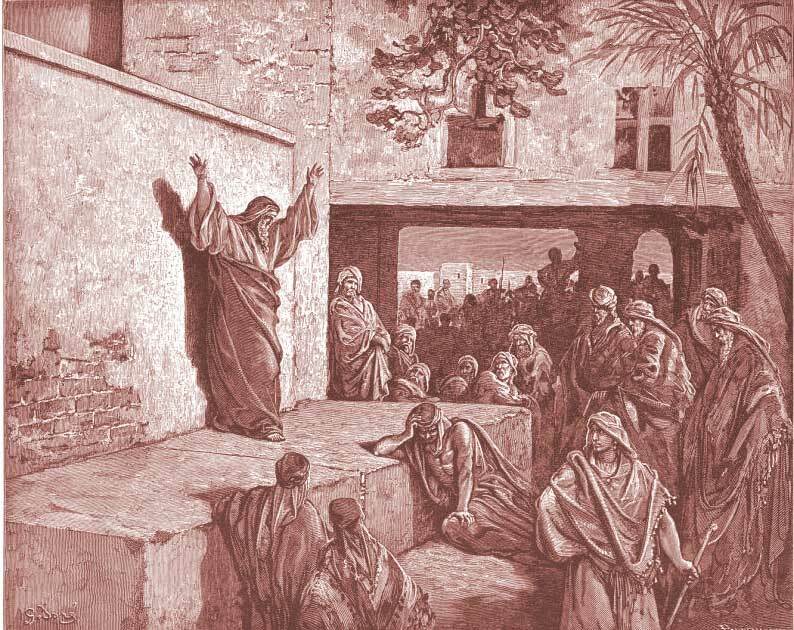 They threw Jeremiah in jail for his prophetic message of coming judgment. 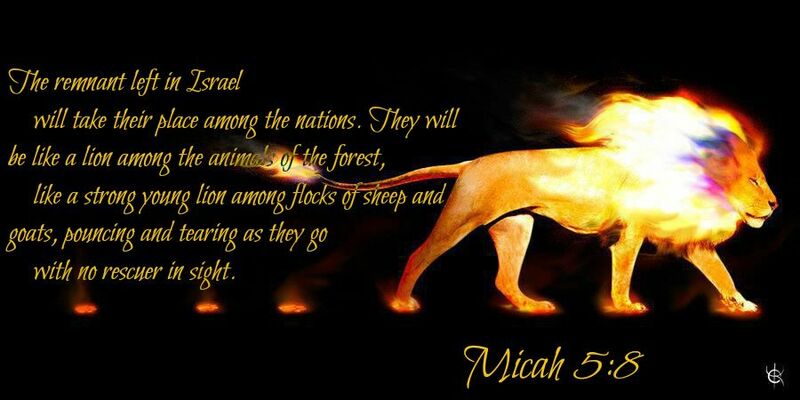 In contrast, King Hezekiah and the leadership of Judah listened to the Prophet Micah. HERE Tim Hughes sings “God of Justice (We Must Go)” — because we are the instruments of God’s justice in this world. Woe to those who are greedy. 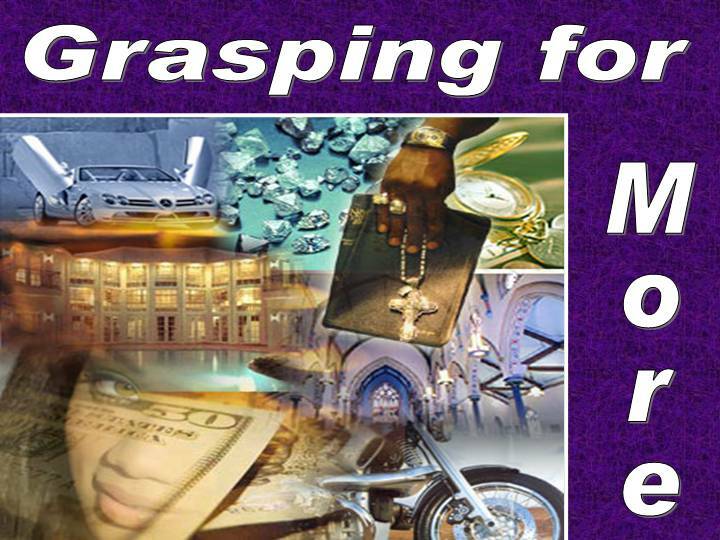 Now Micah puts his finger on the sins of covetousness and stealing and oppression and pride. To pronounce “woe” upon someone was to announce their funeral. Those upon whom the woe is pronounced are described here as lying awake on their beds at night, thinking up ever more creative and corrupt schemes for increasing their own property at the expense of others less powerful. Perhaps they were military and government officials who populated the small defense cities like Moresheth (where the prophet lives). 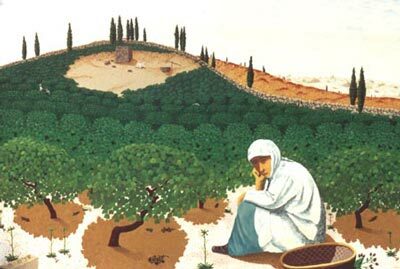 They may also have been the well-to-do who lived in Jerusalem but who wanted some property for weekends and vacations in the country, with fresh air, a few horses, and a marvelous view. Whoever they were, these individuals were dangerous to the health of Judean society because their schemes for acquiring more and more real estate were dishonest. They can do it: “it is in the power of their hand.” They have the money and the connections to get what they want, no matter who is hurt along the way. In my work as a presenter for Walk Thru the Bible seminars, I have encountered a few incidents that have left me speechless, and those who know me know that it is not easy to shut me up! One congregational member in Florida told me that they had just one request for their new pastor: that he would be willing to teach Bible Study classes to them. Their last pastor had refused to do Bible studies, preferring novels and movies! And one pastor from Texas told me he had to leave his former parish because the council asked him to please stop preaching about Jesus so much. 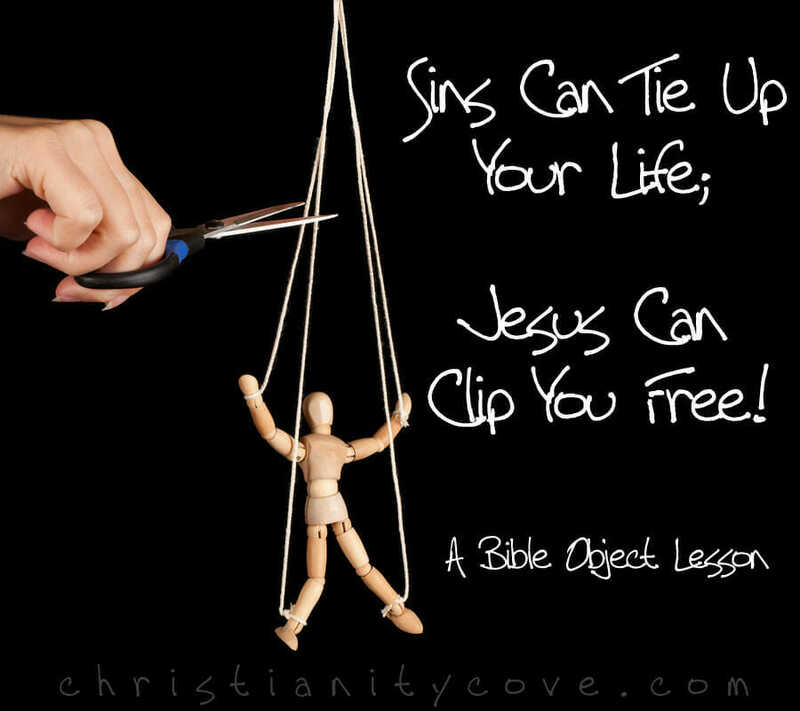 Jesus on the cross had to do with sin and forgiveness, and that wasn’t interesting to them. The words of Micah speak to us today. The Lord says, “Do not my words do good?” Let us be faithful to God’s Word! Such a beautiful picture of our Savior, clearing the path, opening the gate, leading us on. I was delighted to find this Paul Manz organ arrangement of the hymn “Jesus, Lead Thou On,” since it is one I used to play when I was a church organist. HERE. Lyrics follow. 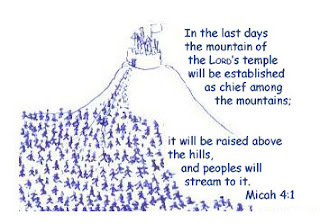 Micah was a prophet during the reigns of Jotham, Ahaz, and Hezekiah. He was a contemporary of the prophets Isaiah, Amos, and Hosea. Micah speaks mostly to the Southern Kingdom of Judah, but he also predicts the fall of Samaria, which took place in 722 BCE. In chapters 1 through 3, Micah rails against landowners and religious and political leaders who have abused their power and conspired to do evil, coveted and defrauded others of their property, stolen and plundered, hated good and loved evil, oppressed the poor, despised justice and distorted truth, accepted bribes, used their religious positions for profit, engaged in dishonest business practices, acted with violence and deceit, and murdered their own people . . . Try to remember, as you are reading, that this is an ancient document. It might sound surprisingly current! 1The word of the LORD that came to Micah of Moresheth in the days of Jotham, Ahaz, and Hezekiah, kings of Judah, which he saw concerning Samaria and Jerusalem. Micah is a hard prophet to understand because the book alternates back and forth between threats of doom and promises of hope. It is hard to figure out what situations he is referring to and how the hope and doom relate to each other. Probably the reason the book is arranged like this is to make the point that where God and his people are concerned, there is always hope, even in the darkest catastrophe. So Micah mingles gloom and glory through his book. This prophecy was fulfilled in 722 BCE when Samaria fell to the Assyrians and was completely destroyed. 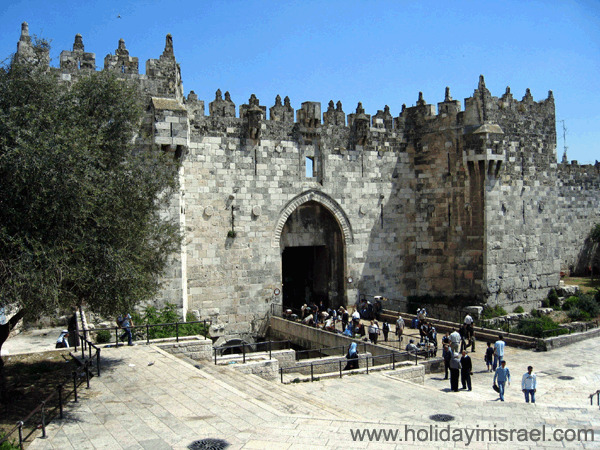 Damascus Gate, facing north toward ancient Samaria, is the most ornamented gate of the Jerusalem city walls. It was built during the time of Suleiman the Magnificent between 1538-1541. Let earth receive her king . . .
Second, it points to another coming of the Lord, an event the Church has been longing for since Christ ascended into Heaven. Jesus will return, before all nations, and will judge the living and the dead. For believers who have been called out of a variety of darknesses into God’s marvelous light, this final coming is good news! King Uzziah of Judah had a long and distinguished reign, described in 2 Chronicles 26 and in 2 Kings 15:1-7 (Uzziah is called Azariah in 2 Kings 15). Uzziah began his reign when he was only 16 years old, and he reigned 52 years. Overall, he was a good king, and 2 Kings 15:3 says, he did what was right in the sight of the Lord, according to all that his father Amaziah had done. 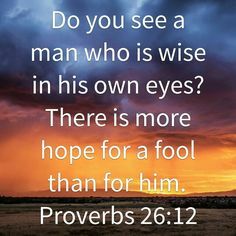 2 Chronicles 28:5 says, He sought God in the days of Zechariah, who had understanding in the visions of God; and as long as he sought the Lord, God made him prosper. Uzziah also led Israel in military victories over the Philistines and other neighboring nations, and he was a strong king. 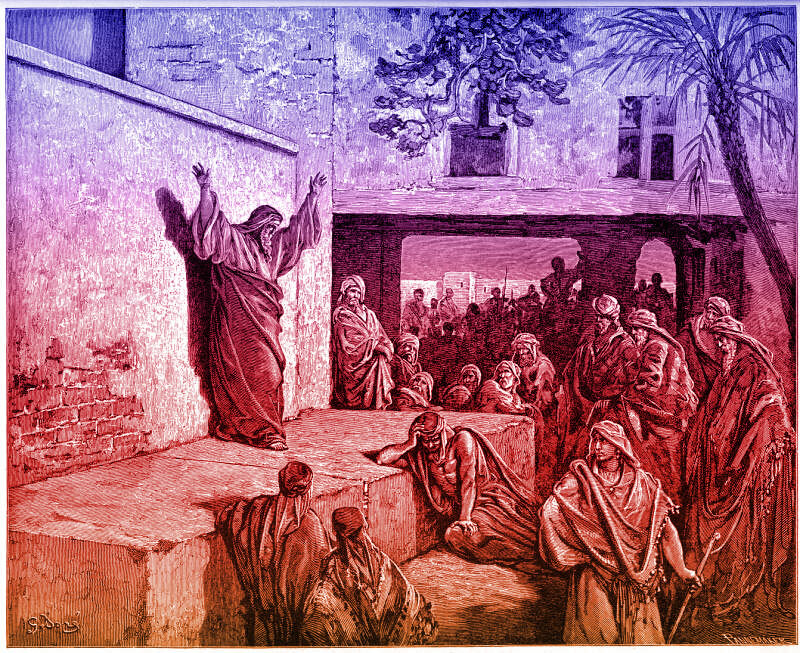 Uzziah was a energetic builder, planner, and general. 2 Chronicles 26:8 says, His fame spread as far as the entrance of Egypt, for he strengthened himself exceedingly. But Uzziah’s life ended tragically. 2 Chronicles 26:16 says, But when he was strong his heart was lifted up, to his destruction, for he transgressed against the Lord his God by entering the temple of the Lord to burn incense on the altar of incense. 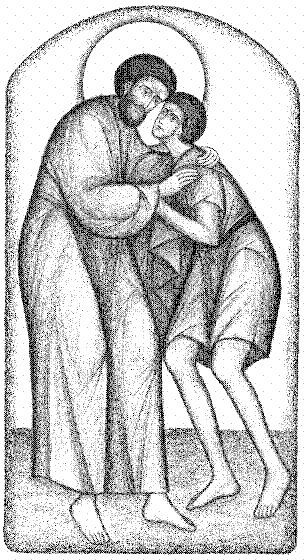 In response, God struck Uzziah with leprosy, and he was an isolated leper until his death. So, to say in the year King Uzziah died is to say a lot. It is to say, “In the year a great and wise king died.” But it is also to say, “In the year a great and wise king who had a tragic end died.” Isaiah had great reason to be discouraged and disillusioned at the death of King Uzziah, because a great king had passed away, and because his life ended tragically. Where was the Lord in all this? . . .
high and lifted up; and the train of his robe filled the temple. 2 Above him stood the seraphim. Each had six wings: with two he covered his face, and with two he covered his feet, and with two he flew. 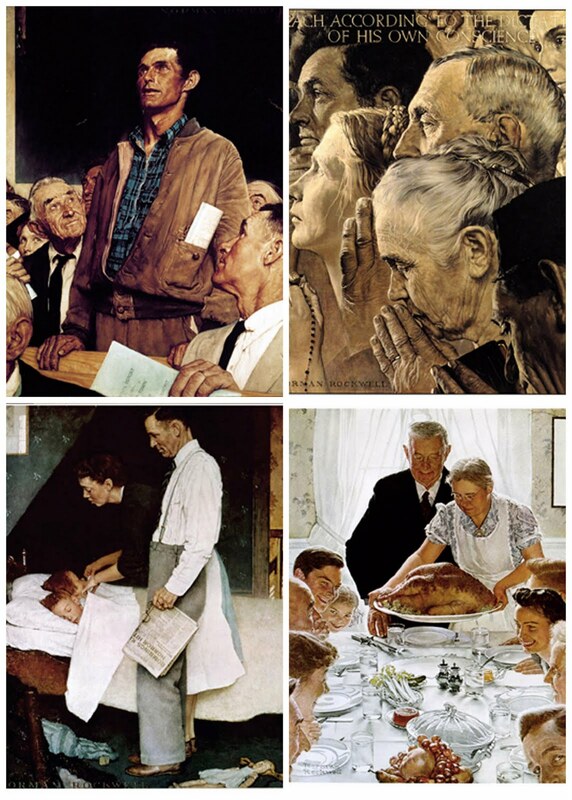 Four wings for devotion, two wings for service. It is an interesting proportion for us to consider in our own lives, I think. Isaiah emphatically answered God’s call. He did not hesitate. Isaiah wanted to be the answer to God’s question. What created this kind of heart in Isaiah? First, he had a heart that had been in the presence of God. He had a heart that knew its own sinfulness. He had a heart that knew the need among the people, the need for God’s word. He had a heart that had been touched by God’s cleansing fire. And he had a heart that heard God’s heart to reach the nations. Their hearts were hardened toward God. As one hears the Word of God today, it always accomplishes one of two things: either a drawing to God and learning to love and serve Him better, or a further hardening and rejection. 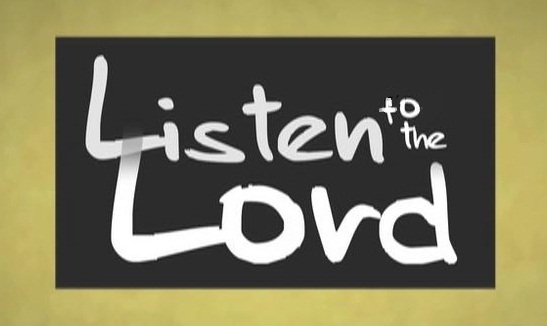 We are either better for having heard God’s Word, or worse. The process of hardening of the heart is not a mystery nor is it a miracle enacted by God, but a natural process begun and carried on and completed by the sinner himself. It is produced by repeated neglect of truths and shunning God’s calling through His Holy Spirit. Hard hearts are a serious matter! The chapter closes with a promise: a remnant will survive the judgment. 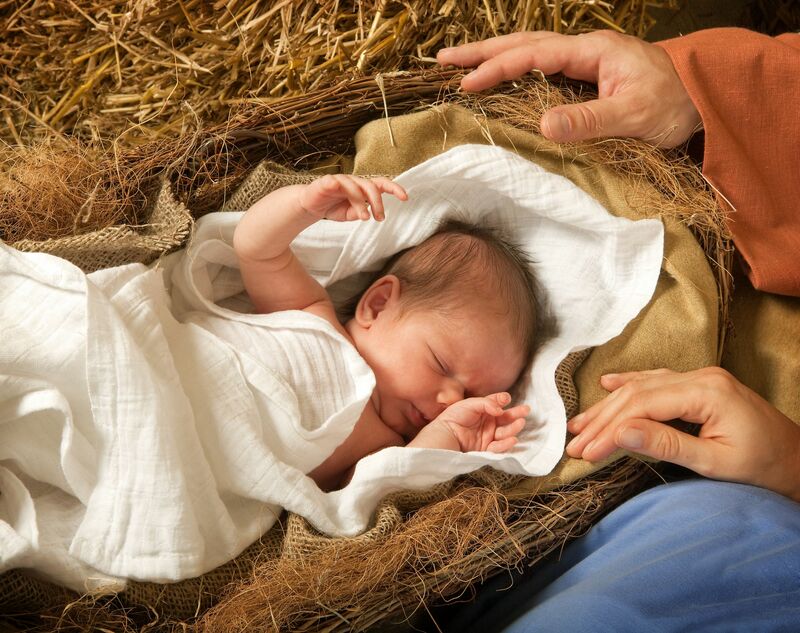 When Isaiah saw the Lord, who did he see? He saw God in the Second Person of the Trinity, he saw Jesus before He added humanity to His deity. We know this because the Apostle John quotes Isaiah 6:10, and under inspiration of the Holy Spirit, adds: These things Isaiah said when he saw His glory and spoke of Him (John 12:41). Through a dark land I staggered. Halted me at a crossroads. 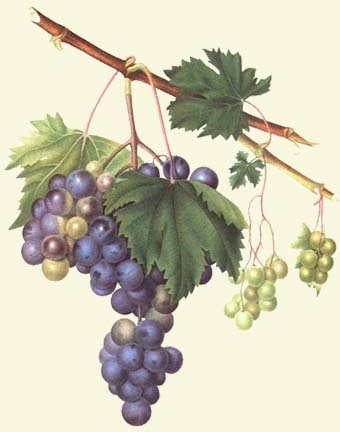 And the burgeoning of the earth’s vine. Inserted the fork of a wise serpent. I lay on stones like a corpse. Stand, Prophet, you are my will. Burn the hearts of people. Click HERE to hear “Lift Up Your Eyes,” a song based on Isaiah chapter 6, by Planet Shakers. Planet Shakers is a youth movement that began as an annual conference and grew into a ministry and church in Melbourne, Australia. the prophet, the angel, the coals. https://220lily.files.wordpress.com/2013/11/isaiah-angel-coal.jpg. Isaiah sings a song for his Lord. First woe: Covetous landowners who try to corner the real estate market till there is an acute shortage of houses and land, yet the owners dwell in solitary splendor. Second woe: Confirmed alcoholics who imbibe from morning till night. They feast and carouse in total disregard of God and His works. It is for this kind of unthinking behavior that the exile is drawing near. God will be vindicated by His righteous judgment when foreign bedouin shepherds feed their flocks in the ruins of Israel. 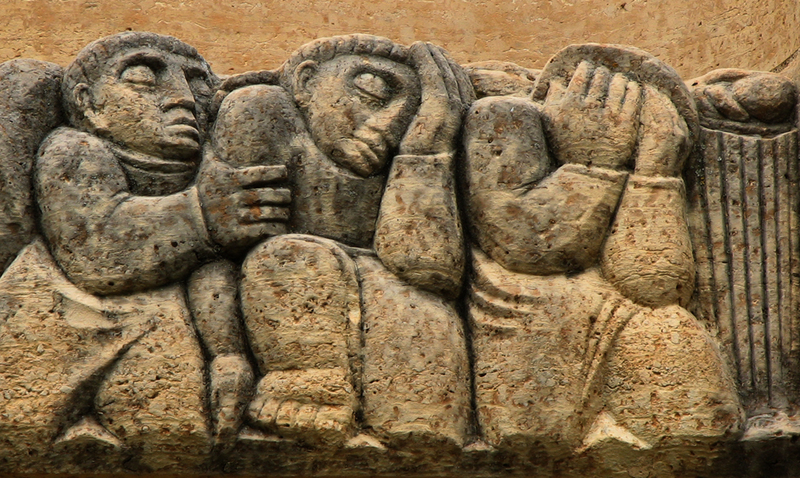 Third woe: Brazen liars and God-defiers who are hitched to sin and drag guilt and punishment after them. They challenge God to hasten with the punishment He has threatened on them. and let it come, that we may know it! Fourth woe: Those who obliterate moral distinctions, denying the difference between good and evil. Fifth woe: Conceited men who cannot be told anything. Sixth woe: Judges who are heroes at drinking and who pervert justice through accepting bribes. These wicked men who have no respect for the Word of God will be devoured like grass in a prairie fire. God whistles and the Babylonian army comes! See their troops approaching — in top physical condition, perfectly uniformed, well armed. The horses and chariots approach fast and furiously. It is a dark day for Judah. As I read of the failings of the people of Judah, I hear this sad song in my mind: “Days of Wine and Roses” sung by Andy Williams. Click HERE to listen. Days of Wine and Roses (1962) is a film directed by Blake Edwards, with music by Henry Mancini, and features Jack Lemmon and Lee Remick. The film depicts the downward spiral of two average Americans who succumb to alcoholism and attempt to deal with their problem. An Academy Award went to the film’s theme music, composed by Mancini with lyrics by Johnny Mercer. The film received four other Oscar nominations, including ones for Best Actor and Best Actress. Today, Days of Wine and Roses is required viewing in many alcoholic and drug rehabilitation clinics across America. You are currently browsing the DWELLING in the Word blog archives for April, 2017.